I was pleased to join CWU members, my council colleague Councillor Laurie Bidwell and Labour-leadership candidate Ed Balls MP at the General Post Office in Dundee to support the campaign to Keep the Post Public. You can read CWU Scottish Regional Secretary John Brown's views here. I think that the previous Labour Government could have done more to defend the Post Office and I campaigned against the closure of two sub-Post offices in my ward. I am very concerned that the Con/Lib Dem Government will bring forward privatisation. To support the Keep the Post Public Coalition visit their website. 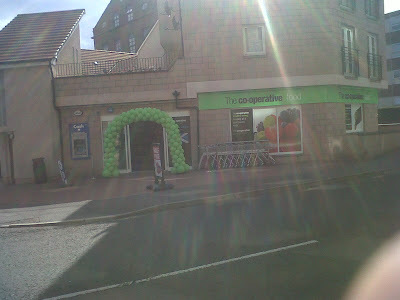 As a Labour and Co-operative Councillor I was pleased to see that the former Somerfield Store in Brook Street in the West End has been rebranded a Co-operative store by the Co-operative Group. I am a member of the Co-operative Group and I would urge local people to consider joining the Co-operative Group, the co-op business model is different and this allows the customers to become members and have a say on how the business is run. I think that this message is more important now than ever before after the traditional share holder model has proved not to be the only answer. There are of course many other stores in the West End which I hope you will support not least of which is Scotmid's Monring, Noon and Night Store on Blackness Road. I attended a meeting of the Finance Sub-Committee of Dundee Ice Arena, the arena is well-worth a visit. There is growing excitement about Elite League Ice Hockey coming to the city starting on 5th September. I'm looking forward to attending some of the Dundee Stars matches. On Thursday morning I attended a meeting of the Dundee Fairtrade Forum of which I am a member. The meeting looked at what more we can do to promote Fairtrade more in the city. I am clear that despite the difficult economic times that the City Council could do more and lead by example on this important issue. Look out for the Fairtrade Forum's stall at the Dundee Flower and Food Festival on 3rd -5th September. This afternoon I attended a meeting of the council's Scrutiny Committee. This was an interesting and varied meeting. I asked questions about the council's ability to deliver the Curriculum for Excellence in the Elms Secure unit. I also asked about the HMIe report into Community Learning and Development in the Baldragon Academy catchment area. I was pleased to see that the council is committed to 'impartiality, openness and transparency' in corporate governance and these are essential prerequisites. I hope that the Administration will remember this in the future. I am pleased to see that my colleagues have been calling for government action on the video games industry. Marlyn Glen is calling for an urgent meeting with Scottish Employment Minister, Jim Mather MSP. I was also pleased to see that my Labour colleague are calling for action from the UK Government, please see the news release reproduced underneath. Following news that computer games company Realtime Worlds has gone into administration putting hundreds of jobs at risk, Scottish Labour have today called on the Secretary of State for Scotland to urgently meet with the Dundee-based company to learn the importance of Labour’s tax relief scheme for the industry. The tax relief was scrapped in the Chancellor's Budget without industry consultation or discussion, despite it being vital to keep thousands of jobs in Dundee. The industry is competing with significant incentives from Canada who are seeking companies to relocate jobs there. 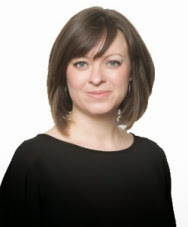 "I have repeatedly pressed Alex Salmond to follow the UK Government's lead urging him to consider what support the Scottish Government can offer the industry, but unfortunately my calls have fallen on deaf ears. "This latest news is not just devastating for Dundee, but for the future of the computer games industry in Scotland. "I fear the fate of Realtime could just be the beginning unless both the SNP and coalition government take action and quick." "This underlines the need to support the computer games industry better. 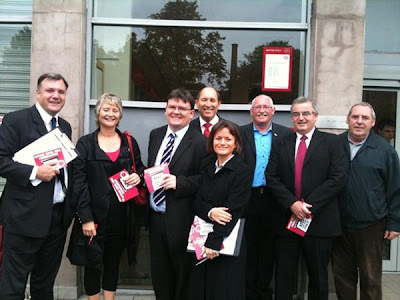 "I cannot understand why the Government has scrapped the tax relief scheme Labour announced in March. "We need Dundee and the whole of Scotland to be a world leader in computer games. The industry sustains thousands of high-skilled jobs that we simply cannot afford to lose. "I am today calling on the government to reverse the decision to scrap the tax relief. "If Michael Moore doesn't understand the importance of this he should visit Dundee and learn why the manufactures desperately need the very support he is taking away." ”From day one Labour have been deeply critical of the Coalition Government’s decision to scrap the tax relief scheme introduced by Labour and have warned the consequences could be severe. That is why I pressed for Scottish Affairs Committee to conduct its first inquiry into the impact of the Government’s decision back in July. The urgency and importance of that inquiry has now only intensified. "Having raised this issue at Prime Ministers Questions, Scottish Questions and having even met with the Scottish Secretary it is deeply worrying indeed that nobody in the coalition has taken heed of Labour’s warnings. ”It is clear the Chancellor is interested in only one thing – cuts – regardless of the cost. The Scottish Secretary cannot afford to stand idly by. He must urgently meet with Realtime so he can see for himself just how important it is to support the computer games industry. "This is enormously concerning news. ”The Scottish Government must step-in and do whatever it can to support this pioneering company and help protect the jobs of the 300 people who work there. Michael Moore:There has been no formal exchange of correspondence with the Chancellor of the Exchequer on the computer and video games industry but I and my officials had discussions with Treasury counterparts on a range of issues ahead of the Budget. I will speak with both the Secretary of State for Culture, Olympics, Media and Sport and representatives from the industry in the near future, to discuss how the cuts to corporation tax to 24%, the rise to the employer national insurance threshold and other measures, announced by the Chancellor of the Exchequer in his emergency Budget, will stimulate further growth and expansion of this sector. Michael Moore:There was no specific meeting about the computer and video games industry. However, I and my officials held discussions with Treasury counterparts on a range of issues ahead of the Budget. After yesterday's terrible news about Realtime Worlds in Dundee I was very interested to see that the trade association for the UK video games industry TIGA have called for an action plan. As I have said the council and all other levels of government should be doing all we can to protect this industry in Dundee. The Action Plan for the Scottish Video Games Industry can be found here. I think that these proposals are well worth a look and I hope that the Con-Lib Dem government will look at this. I was very sad to hear that Dundee computer games company Realtime Worlds has gone into administration. This is tragic news for everyone concerned. I have spoken about the need to do all we can to protect and nurture the games industry in Dundee and elsewhere. I think that the Scottish Affairs select committee inquiry into the games industry is becoming more and more important. Everyone with Dundee's best interests at heart must do all they can promote this industry in Dundee and we must do all we can to protect and create jobs in our city. Labour's Justice team from the Scottish Parliament James Kelly MSP and Richard Baker MSP were in Dundee today listening to concerns about anti-social behaviour. Clearly our policy should put communities first, there should be no tolerance of poor behaviour in our communities. After a very interesting meeting, a large group of us went out campaigning in Dundee getting more signatures for our 'More Nats, Fewer Nurses' campaign. Labour's concerns about the situation in Dundee and the failure to use the measures available to deal with anti-social behaviour. I will be seeking a briefing from council officers on how anti-social behaviour is being dealt with. 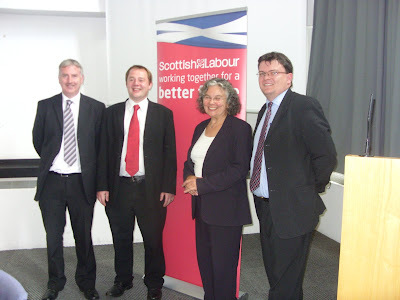 The picture show James Kelly MSP, Richard Baker MSP, Marlyn Glen MSP and myself. 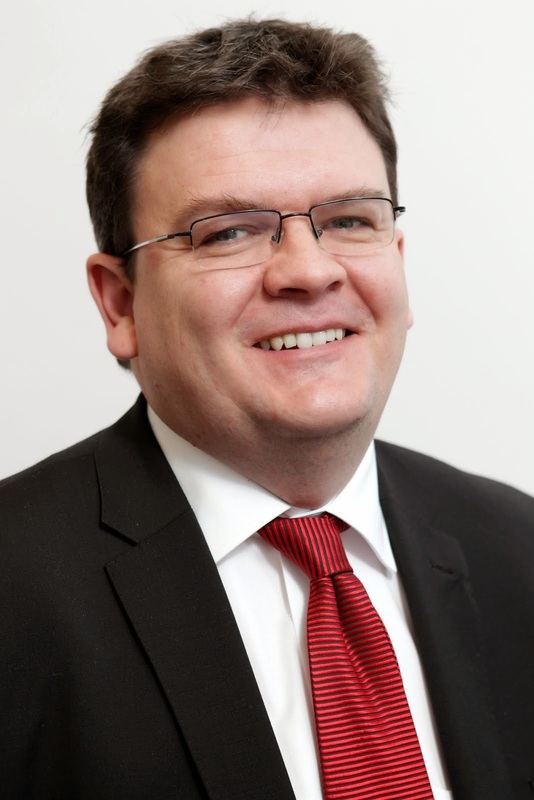 Scottish Labour today highlighted its concerns about anti-social behaviour in Dundee after it revealed new figures that showed that despite nearly 2,000 complaints of anti-social behaviour in the city last year only 12 Anti-Social Behaviour Orders (ASBOs) have been implemented. The figures came from a Freedom of Information Request which showed that there were 1,868 complaints in Dundee a 29 per cent increase since 2007/2008. Scottish Labour is visiting Dundee to highlight the problems and to talk to communities affected by anti-social behaviour. The Party’s Shadow Community Safety Minister James Kelly and Justice spokesman Richard Baker are visiting Dundee along with North East Regional list MSP Marlyn Glen. Labour have been pressing for a change in the law that would allow organisations such as community councils and tenants and residents groups to be able to push for anti-social behaviour orders through the courts if local people thought it would help. This is the third event in Labour's tour of cities blighted by anti-social behaviour, having visited Edinburgh and Aberdeen last week. The party will also be in Glasgow tomorrow to meet with local residents. “What is clear is that too many people in Dundee are being left to suffer anti-social behaviour and it’s time that more was done to tackle those who make other people’s lives a misery. 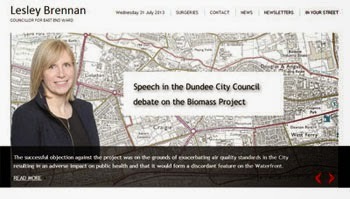 “In Dundee we see almost 2,000 complaints but only 12 orders against those who are blighting communities. “Complaints have soared by a third but the number of ASBOs awarded has fallen by two thirds. 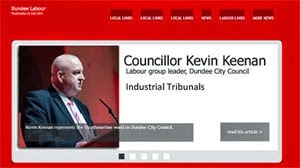 “Labour is coming to Dundee today to listen to local people and find out what they want to see happening and we hope that our plans to see local community groups given more powers to seek ASBO against those who are harming communities will be something for communities to consider. I was sad to hear that St Francis Church (the Friary) in the West End ward has closed after the last Mass was celebrated on Sunday. This is sad for all those who have been part of the community at the Friary over the years. As a local councillor I am concerned about what will become of the site. I was interested to read about a survey that demonstrates that Dundee is a great place to be a student. I came to Dundee to study and I know that it is a great place to study and to live. The universities and college in Dundee add a lot to the city. I know that a lot of people will be thinking about coming to our great city to study and I hope that they will enjoy their time in Dundee. I am happy to help all those who live in the West End. Students do make an important contribution to the community in the West End. The City Council's summer recess ended today with the first meeting after the summer. Tonight there was a meeting of the Development Quality Committee. There were a few applications on the agenda. An application for Dundee West Football Club to put in new changing facilities at Charlotte Street in Downfield was very interesting in terms of their development as a community club. Like many Scots and many in the Labour movement I was saddened to hear about the death of the trade unionist Jimmy Reid. I heard him speak a couple of times and met him very briefly at conferences. 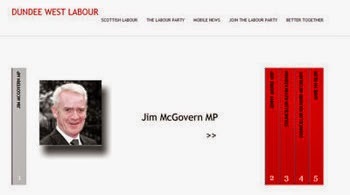 In thinking about 'what ifs' I was wondering 'what if he had been elected as the Labour MP for Dundee East in 1979' . We'll never know but I think we can take it for granted that he would have been an outspoken MP. 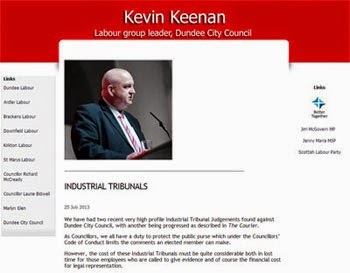 Many people have commented on his loss such as the STUC and many in the Herald. Reid's much admired Rectorial Address at the University of Glasgow can be read here. I am sure that public tributes are a comfort but this is a very sad time for Jimmy's family and my thoughts are with them. This lunchtime I attended a briefing from the City Council's Housing Department on the Scottish Housing Quality Standard. This is important for council tenants in the city and there is a lot of work to be done before the council can achieve this standard in 2015. I will be examining in detail a report which is going to the Housing Committee next week on this issue.